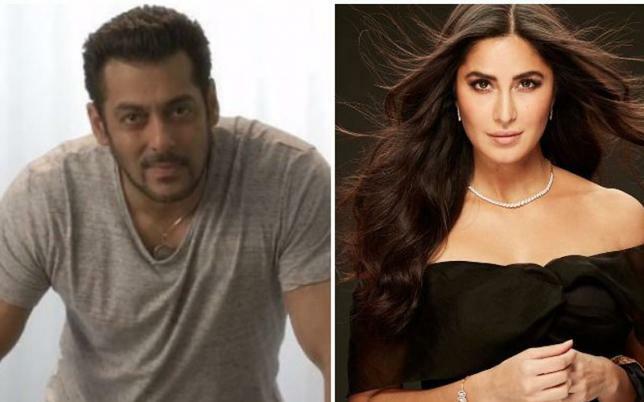 India's Bollywood star Salman Khan on Monday welcomed Katrina Kaif to the cast of "Bharat" in style, by calling her "sundar" (beautiful) and "susheel" (virtuous). "Ek sundar aur susheel ladki jiska naam hai Katrina Kaif... Swagat hai aapka 'Bharat' ki zindagi mein (A beautiful and virtuous girl named Katrina... We welcome you the world of 'Bharat')," Salman tweeted on Monday. Katrina, who has given several hits with Salman at the box office, will play his love interest in "Bharat", directed by Ali Abbas Zafar. The three are reuniting for the period drama after "Tiger Zinda Hai". Zafar had also directed Katrina in "Mere Brother Ki Dulhan", and is looking forward to working with his "three collaboration buddy". Katrina has stepped into a role which was originally being played by Priyanka Chopra, who according to Zafar, opted out of the project "in the Nick of time". His announcement alluded to US media speculations about Priyanka's engagement to American singer-songwriter Nick Jonas. "Bharat" went on floors earlier this month. It has already begun the first schedule, including a grand circus sequence featuring Salman and Disha Patani.